North (formerly New) Highland Park is located at the northeast corner of St. Charles Place and North Highland Avenue. The plan for North Highland Park features a bio-friendly design, open green space and a rain garden. In 2008, the Virginia-Highland Civic Association (“VHCA”) voted to try to purchase the two lots which now comprise North Highland Park. Prior to that time, the lots had been the location of the local public library (which burned down and relocated to Ponce de Leon many years ago). The land had been vacant and over-grown for more than 10 years. The VHCA applied to the Georgia Environmental Facilities Authority (“GEFA”), a state agency dedicated to promoting land conservation/green space, for a loan to purchase the lots. A local realtor served as our real estate agent (and donated her commission). 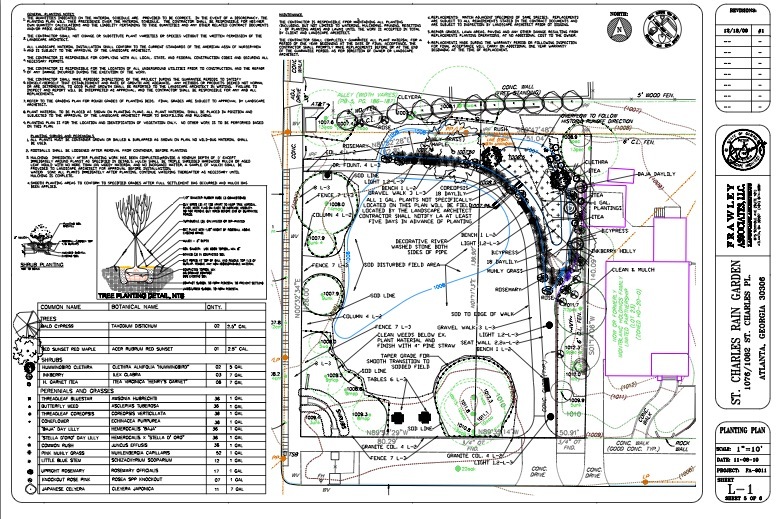 A civil engineer from Morningside donated his expertise to design a “bio-retention demonstration project” (stormwater runoff is re-directed to a rain garden), and a local landscape architect donated his services to design an open green space that included low-maintenance, native Georgia plants. Those designs helped qualify us for the GEFA loan that in turn enabled the purchase of the land in late 2008. The VHCA was the first non-profit in the state of Georgia to receive financing from GEFA at what was a very low interest rate (3%) at the time. 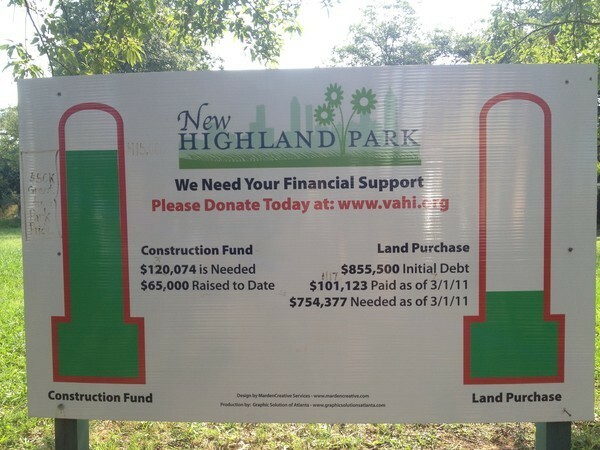 The Virginia-Highland Conservation League is the 501(c)(3) non-profit subsidiary of the VHCA that pursued the fundraising needed to enable the next step – actual construction of North Highland Park. Money came from the sale of bricks, a silent auction, and a plant sale, along with outright donations from many neighbors (individuals and local businesses) and a $50,000 grant from Park Pride. The cost of construction was just over $150,000. North Highland Park officially opened in March of 2013. 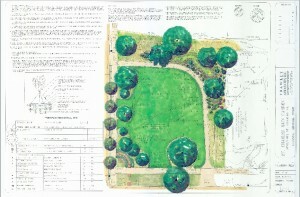 Prior to its construction, neighborhood meetings were held to discuss features desired such as lighting, landscaping details, fencing and seating. We still have a mortgage debt on this land (approximately $189,000 as of October 2016), but we are getting very close to paying off that loan!